For more info on the presale Langley Casa Verona Condo homes OR the Langley High Point Equestrian Estates Homesites and Lots, follow these links. Milner Heights Langley Real Estate Community April Update - Beat the HST! We wanted to give you a quick update on Milner Heights, Langley real estate’s master planned community of choice. New Milner Heights Langley Homes just Released with over 20 Homes Sold last month! We are excited to announce that in response to strong sales this year, we have released new single-family homes in Seasons at Milner Heights and freehold rowhomes in Prelude at Milner Heights Langley real estate development by VESTA Properties. We are also offering excellent pre-construction Langley home pricing starting from only $339,000 on our new Radius at Milner Heights Langley townhomes for sale by VESTA Properties and have already sold 18 pre-sales homes to date. Drop by or call us at 604.539.9484 today to find out all of the details on these new Langley homes for sale at the master planned Milner Heights VESTA community before they’re gone! Beat the HST with Quick Possession Langley Homes for Sale Ready Now and Before the July 1st Deadline! Now is the perfect time to move into a new Langley home for sale at Milner Heights (Prelude, Radius or Seasons neighbourhoods) before the HST tax on new Langley homes is in effect. Although most of our new Langley Milner Heights homes for sale will not be affected by the HST tax due to our excellent pricing that’s below the threshold, we do have some presale Langley homes that may be impacted. Call us today for more information on the HST Tax on new homes and our quick possession Milner Heights Langley homes for sale, ready to occupy before the HST Tax deadline. Come see why Milner Heights is Langley real estate market’s community of choice. Ideally situated in the centre of Langley Milner Heights real estate community of pre-sale homes, townhomes and rowhomes in a beautiful GREEN Street approach by VESTA Properties provides its residents with exceptional access to the areas best amenities including great shopping, well respected schools, abundant recreation choices and quick access to the highway. The VESTA Milner Heights Langley home community’s master plan includes attractive streetscapes with Georgian Colonial-inspired architecture, a variety of home styles for every price range, built in walking trails, a children’s playground and leading environmental features. Best of all, the pre-construction Langley home pricing at Milner Heights is one of the areas best. Here is a quick update on the entry level pricing for the various housing types here at the new Langley home development by VESTA Properties at Milner Heights community: Manor Homes from $ 349,000*, Freehold Rowhomes from $ 385,000, Townhomes from $ 339,000, Single Family Homes from $ 545,000. Drop by our Milner Heights Langley pre-sales centre and show homes to find out more or visit us at www.milnerheights.ca. We look forward to speaking with you soon. Warm Regards, Milner Heights Langley Sales Team - Open 1 – 5pm Saturday – Wednesday at 20843 69 B Avenue, Langley. * New Milner Heights Langley home prices and availability are subject to change, without notice, for all home styles. Call your sales rep for details. This is a great time to buy with incredible Langley real estate value built into every one of our Prelude Milner Heights Manor Homes for sale from $339,000 ranging from 1475 - 1714 sq.ft. The Prelude Manor Homes at Milner Height Langley real estate community are unique 2 storey townhomes featuring privately landscaped yards off the main floor that are perfect for families and couples alike. In addition, all presales Langley Manor Homes include a fully finished basement with 3 piece bathrooms. Quick Possessions for these Prelude Homes at Milner Heights neighbourhood with an amazing upgrade package AVAILABLE NOW! The amazing features include: nine foot ceilings on main floor, tile flooring, upgraded soaker tub in main bathroom and of course, full granite kitchen counter tops. In addition, the presale Langley Homes at Prelude Milner Heights real estate community also feature standards such as full tiled backsplash, all appliances & hardwood cabinetry as well as two inch blinds. The sales team at Milner Heights Prelude Langley homes invite you to come and visit us in our Manor Homes Presentation Centre and Showhomes - choose the floorplan that is right for you and move in this month! Don't miss this one of a kind opportunity to purchase a unique Manor Home at the Prelude townhome at Milner Heights Langley real estate development. See you soon! For more information on this exciting community, visit us at www.milnerheights.ca. Langley Milner Heights Prelude Manor Homes Sales Team that is Open 1 – 5pm Saturday – Wednesday. We are excited to announce that Vesta's popular ‘Green Street' community Milner Heights Langley real estate market, located at 70th Avenue and 208th Street in Langley, has recently released phase II Prelude Langley Rowhomes! Prelude at Milner Heights Langley property development features elegant 3 bedroom 2.5 bathroom freehold Rowhomes starting from only $385,000! We invite you to come and visit us in our Milner Heights Prelude Langley Townhouse Presentation Centre and Showhomes open from 1 - 5p.m. Saturday to Wednesday. Be the first to select a new Langley Rowhome in Phase II - choose the floor plan that is right for you! Beautifully situated on a ridge in one of Langley real estate's finest neighbourhoods, Milner Heights Langley real estate market boasts Georgian colonial-inspired architecture, attractive streetscapes reminiscent of long-established neighbourhoods and five distinct home types. In addition, Milner Heights Prelude Rowhome community prides itself in being Langley real estate's first “Green Street” community. Close to amazing shopping, excellent schools and endless recreational possibilities - access to everything! Don't miss this one of a kind opportunity to purchase. See you soon! For more information on this exciting community at the Prelude at Milner Heights Langley townhomes for sale, visit us at www.milnerheights.ca. Milner Heights Sales Team - Open 1 – 5pm Saturday – Wednesday at 20843 69 B Avenue, Langley, BC. Move-in Ready Homes at Milner Heights Langley Real Estate Development! Settle into a new presale Langley home this summer at Milner Heights master planned community. Milner Heights has move in ready Langley homes for sale and move in pricing! These new homes feature: Large private backyards, Gourmet kitchens with deluxe stainless steel appliances and Access to walking trails, pond, and playground. FEATURE HOMES EXECUTIVE SINGLE FAMILY HOME ‘THE BRIGHTON at Milner Heights Langley homes for sale'. Beautiful new home backing onto environmental reserve. Imagine no rear yard neighbors & large private yard. This 2501 sq ft (plus unfinished basement) home features amazing upgrades including hardwood flooring, granite kitchen, metal railings and much more! This home is move-in ready at move-in pricing! Special Pricing for these new Langley homes for sale NOW $599,900! We are also featuring our Single Family Langley Home 'The Rutherford at Milner Heights'. This 3 bedroom, 3 bathroom, 1461 sq. ft. (plus unfinished basement) home has all the extras! Great room layout featuring hardwood floors throughout main, open kitchen with granite counter tops and deluxe stainless steel appliances. Quiet private street with fully landscaped and private backyard, detached double garage. Across the street from Environmental Reserve. NOW FROM $469,900! Come visit us at the new Langley Milner Heights home development presentation office for all the details and let us make your search for a new home easier! PLUS Don't forget to check out our quick possessions page online. We look forward to seeing you this weekend! Where old is new again. Whether you’re looking for a home for yourself or an investment property in Langley rela estate downtown, Langley Village represents a great pre-sales opportunity at an outstanding price. Spacious one and two bedroom pre-construction apartments will be completely renovated with new carpets, tile flooring in the kitchen and bathroom, counter tops, cabinet doors, and contemoporary appliances. Plus there’s new exterior painting, a new roof and a fresh new look to the common areas of Langley Village community. Prices start at just $139,900 and best of all, there’s no GST when you purchase a newly renovated Langley condo home at Langley Village. The Langley Village presentation centre opens soon at 5664 – 200th Street in downtown Langley. For details, please visit www.langleyvillage.ca or call 604.533.6855. You have just made a great decision to register for Langley Village, a soon to be NEW AGAIN condominium in downtown Langley real estate! While we can't give you very many details at this time, we will be contacting you by phone or email as soon as there is more to share! Whether you are looking for a new place to call home or have simply been searching for a wise Langley downtown real estate property investment, we believe this is the right choice. What we can tell you is- This is a great opportunity to own with as little as $13,500 down and payments of only $700 per month! Roberta Wills & Ashley Judd, Porte Realty Ltd. | 604.533.8655 | sales@langleyvillage.ca. It’s your turn to own a home. A bright inviting space. Langley Village it is! New again – large one bedroom apartment pre-sales homes at Langley Village real estate with updated finishes, these homes are sensibly priced from $135,900 (no GST). Two bedroom suites at Langley Village real estate development are priced from just $177,900. Fresh and affordable, it’s a smart step into the property market. This is a Porte Development Corp property. As a past visitor to a Porte community we thought you would want to know about our newest offering: LANGLEY VILLAGE CONDOS! AFFORDABLE PRESALE LANGLEY CONDOS... MOST BELOW $200,000 As the real estate market continues to rise Porte Developments has recognized the need for affordable presale Langley condominiums throughout the Lower Mainland. With the cost of land and new construction this is becoming more of a challenge. At Porte we have the solution: the great opportunity to convert an existing rental building to updated condominiums at Langley Village pre-construction condominium residences and offer them to you at great prices. PROFIT FROM OUR EXPERIENCE We did a similar offering 2 years ago in South Surrey called Southgrove, which sold quickly. We are confident that Langley Village pre-construction condos will be equally successful. For those of you who missed out last time, be prepared to act quickly at the presale Langley Village event. APARTMENT MAKEOVER: Just like on TV - you won't recognize the place by the time we are finished! Plus, once the makeover is complete at Langley Village renovated condo suites, real estate investors were able to earn from $100 to $200 over the previous rental revenues. With only 26 homes in the first pre-sales Langley Village release be sure to register now. MASTER PLAN: Langley real estate is in the process of developing a new master plan for the dowtown core. They are encouraging property investment in the downtown core with plans for a new Entertainment District a Performing Arts and Culture Centre and expansion of retail and shopping making the downtown the place to be. WHY RENT WHEN YOU CAN OWN at the condos at Langley Village Community: Presales prices will start at $135,900 for a 1 bedroom, with 2 bedrooms at $177,900. Most new Langley homes will be priced under $200,000. That means for as little as $13,500 down and a little more than $700 a month you can own your own home for about the same that you would pay for rent. REGISTER NOW: These real estate Langley opportunities seldom come along. Be sure to register now at www.langleyvillage.ca. We will be contacting you shortly to keep you up to date on progress. Register now for the best price and best selection. Check your email! All the best, Roberta Wills & Ashley Judd at 604.533.8655 or roberta@langleyvillage.ca. Where old is new again. Whether you’re looking for a home for yourself for an investment in downtown Langley real estate, Langley Village represents the best of creative renewal at an outstanding price. Only steps from all the amenities found in downtown Langley property – shopping, restaurants, Cascades Casino, and antique shopping to name a few – these spacious new one and two bedroom pre-construction apartments at Langley Village condos feature completely renovated suites with new carpets, tile floors, counters, cabinetry, doors, and appliances. Plus the entire building has had a major exterior overhaul. Prices of the Langley Village Condos start from just $139,900 and there is no GST payable by the home buyer! Although we are still working on the new pre-construction Langley Village condo building, we have had an overwhelming response and as promised, want to give you an opportunity to "take a sneak peek" before we open to the general public. You will have an opportunity to view the new Langley Village condominium display suite, plus I can spend time with you reviewing presale floorplans and getting all the information you need to make an informed decision. We will be booking appointments over several days starting Sunday June 15th, so please give me a call at your convenience and I would be happy to book a time that works best for you. 90% of our pre-sale Langley homes are under $200,000!!!!! I would also like to encourage you to get pre-qualified for the eventual purchase of a pre-construction Langley Village real estate condominium - it costs you nothing and there is no obligation and yet there are great benefits. TD is offering discounted rates and $699 towards legal fees. Contact Marna Dueck now and she can approve you by phone so you know exactly what you can invest in your new home. Langley Village Final Weekend of Previews! Second Building Now Available at Langley Village! Sorry you didn't make the Grand Opening of Langley Village community pre-construction sales last weekend, although with that gorgeous weather, I am sure you found something else to do! We are thrilled to report that we are already 50% sold! Due to the overwhelming interest, we are releasing the pre-sales Langley Village condo suites in our second building as well. Check out all the great floorplans for BUILDING 2 here. See for yourself how interesting they are. One of my favourite's is Plan K as I love the space in the hallway - perfect for a home office. If price and selection are important to you, then be sure to drop by this weekend while we still have a great selection of pre-construction Langley Village two bedroom floorplans. Each of the presales Langley condominium suites boasts it own unique features - from walk through kitchens, opening living areas, garden level patios, bright top floor corner suites, to tons of insuite storage-whatever your preferences, I am confident you'll find the perfect floorplan - for you! I hope to see you this weekend. Langley Village Quick Close Incentive Coming to an End! As so many have expressed interest in our two bedroom plans at the new Langley Village condos, we wanted to give you an update on our Quick Close incentive for these pre-construction condominium apartment suites. Like all good things that come to an end, our incentive is ending soon. Move in's have already begun at Langley Village......but there are a few suites ready and waiting for their new owners! Several people have already taken advantage of our Quick Close and have saved up to $13,000!!! If you have been looking around for a great Langley real estate investment, you won't want to miss this Langley Village purchase opportunity - with only a handful of eligible presale suites remaining you can't wait too long! Our Sales Office for Langley Village condos is open everyday except Friday from noon to 5 pm. Stop by or give us a call anytime so we can give you more details. Its not too late to save while investing in yourself and your future! We look forward to being of assitance. Yours truly, Roberta and Ashley of Porte Realty Ltd. PS. You can find us at 5664 200th St., Langley, BC. Don't forget to bring your cheque book as you won't want to let this one get away. PPS. If you're not interested in a 2 bedroom, we still have 2 one bedroom pre-contruction Langley Village condo suites available. Langley Village deal of the week - Have we got a deal for you! Suite # 208 at only $177,900. Great 820 square feet, 2 bedroom open plan at Langley Village condo apartments with West exposure with large windows to let the light stream in, Open kitchen perfect for entertaining. Completely renovated Langley Village apartment suites. This new Langley home will be ready shortly - you can be home for Chirstmas! Visit our new showhome today. We are open 12 - 5PM (closed Friday) or call 604.533.8655. PS. Buy before November 15 and we'll include stainless steel appliances PLUS pay your maintenance fees for one full year. Langley Village Renovated Condos – Deal or No Deal? We are ready to deal at Langley Village. WE have 8 homes that we’re ready to deal on, so come in today and save. But now and you could be living in your new home tomorrow at these new renovated Langley Village condominium homes. Renovated 2 bedrooms now reduced so come in and make a deal. Plus there is no GST on any apartment purchase. Located at 5700 200th Street at 57A in Langley and by Porte development corp. It’s a sort of creative renewal now going on at the newly renovated Langley Village affordable apartment condos that features a total of 76 condominium suites that are in their final stages of top to toe makeovers. Affordable condominium living at Langley Village real estate development is certainly attainable when you consider the competitive price point and no GST on these renovated suites. One of the hottest properties in the Lower Mainland is definitely the new Langley Village renovated condos that is a great opportunity for first time home buyers to get into the real estate market. With compact and functional floor plans and from new contemporary kitchens to updated cabinetry doors, hardware, flooring and countertops in addition to EnergyStar appliances and bright and cheerful living spaces, the pre-sale renovated Langley Village condo homes are definitely a must see for any first time homebuyer, couples or growing families. Two bedrooms suites are massive with lots of room to grow and also a cheater ensuite, large sumptuous bathrooms and great furnishings. Close to all city amenities, the new Langley Village renovated condos and apartment suites are within walking distance to downtown Langley in addition to the Cascades Casino and lots of equestrian, golf and outdoor activities. With refurbished or renovated Langley Village real estate suites for sale that start from an incredible price point of $177,900 (GST exempt) with 1000 sq ft of living space and luxurious interiors, now is the time to make your deal at Langley Village renovated apartments by calling 604.533.8655 to book your private appointment. New collections at the Milner Heights Prelude and Seasons are now launching in the new Langley real estate market. Sales begin July 2008, wo please pre-register online at www.milnerheights.ca or call 604.539.9484 today. A community in perfect balance. Beautifully situated on a ridge in one of Langley’s finest neighbourhoods stands Milner Heights community. This unique master planned Langley community features five distinct home types, offering people at different stages a home that suits their needs. As Langley’s first “Green Street” real estate development, Milner Heights leasd the way in sustainability with “built green” homes, improved environmental stormwater management, and a neighbourhood greenway network. Launching with the colletions of pre-construction Prelude at Milner Heights and Seasons, now’s the time to find your pre-sales home in Langley’s community of choice. Featuring stylish pre-construction Langley rowhomes, elegant Manor Houses and distinctive single family homes at Milner Heights. Inspired by the writing of S. Boyce, the best author on new real estate developments in the Lower Mainland, this is what she has to say about the new releases at the Milner Heights Langley masterplanned community. It’s been six and a half years in the making. But at long last the dream is coming alive. Framing is underway on the first buildings, winding boulevards are taking shape, and there’s a contagious buzz of excitement in the air here at Milner Heights in Langley real estate. Still, arriving on site what I find moist immediately striking is the amount of mature greenery that surroundes this 45 acre Milner Heights property in Langley BC. Towering evergreens dance gracefully in the breeze. The air is refreshing, crisp, and clean. Along the property’s eastern edge, I can see a stand of trees so distinctive, I have no doubt they were the same ones I saw from Glover Road on my way here. “A true master planned Langley community like Milner Heights is a unique, new concept here in Langley,” says Lynn Harrison, Vesta Properties’ marketing director. The secret is a mix of housing types, from Milner Heights row homes, pre-construction Manor Houses and townhomes to single family houses in sizes ranging from compact to expansive. “Providing people with the ability to upsize or downsize as their needs change is all part of building sustainable communities. It means no one ever has to move simply because their family is growing or they’ve become empty nesters; people can stay right here in the neighbourhood they love forever if they want to.” As we look through renderings showing brick facades accented with bales and shuttered windows at the pre-sales Langley Milner Heights rowhomes, condos and single family detached homes, elegant pitched rooflines, and welcoming front entryways framed by ivory-coloured columsn, I see other patterns emerge. Streest are lined with trees and narrower to provide natural traffic calming effects at the master planned Langley community at Milner Heights pre-sales homes. Homes are set far back from the roadway creating sweeping green spaces where rainwater can percolate more naturally back into the ground. And I confess, I find myself totally captivated by Milner Height Langley rela estate’s manor houses, a collection of pre-construction four plex homes with a whimsical charm and a character all of their own. Eveyrwhere is an Old World fee, a sense of openness you just don’t find in the city any more. I can’t ehlp thinking this will actually get to know neighbours and share life’s celebrations together. Milner Heights’ initial phases offer 100 pre-construction orwhomes and manor homes, as well as 40 Langley presales single family detached houses. The presentation centre for Milner Hieghts Langley will open early July at 208th Street and 70th Avenue in Langley real estate. To register online and be the ffirst to find out more about their sales launches, please register online at www.milnerheights.ca. Three creeks and tributaries run through Milner Heights community in Langley BC. On the southern boundary is a three acre wetland that will be enhanced and transformed into a pond performing triple duty as a lush water feature at the Langley pre-construction homes at Milner Heights and also as a water rentention area for environmentally frineldy storm water management, and a playground for native birds and other wildlife. Landscaped eco-swales, maximized use of permeable soft surfaces instead of asphalt and setbacks of often more than 30 feet not only help minimize Milner Heights’ eco-footprint, but reinforce the concept that in a world where densification is the norm, Langley’s Milner Heights dares to be different. Vesta Invites you to Milner Heights! The brand new Milner Heights presentation centre, which showcases elements of the community’s Green Street is now open daily from 1 to 5pm except it is closed on Thur and Fri at 20843 69B Ave in Langley real estate. For more information, visit www.milnerheights.ca or call 604.539.9484 for more details about the pre-construction homes at Langley’s Milner Heights community. An informative article about this Langley development was recently published in the July/August edition of the Vancouver Sun articles on new property projects in the Lower Mainland. First to the hit the pre-sale Langley Milner Heights market are the first phase in Prelude and Seasons. Prelude at Milner Heights pre-sales will feature manor and row homes inspired by the English manor and Georgian Colonial architectural traditions. These freehold pre-construction Langley Milner Heights rowhomes and strata owned manor homes (there are four homes in each manor home) boast sophisticated exteriors with wood and brick trim and large windows. Interiors are equally elegant, with nine foot ceilings in the main areas, well appointed kitchens and stylish bathrooms. The striking single family homes in Seasons Milner Heights Langley real estate have many old world touches, including handsome entrances and detached or attached garages, beautiful wood trim, exposed aggregate driveways, professionally landscaped front yards, and backyards with entertainment sized patios. The bright and spacious floor plans in Seasons Milner Heights feature traditional or great room design and range from 1500 to 2500 square feet. These new Langley homes at Milner Heights Seasons also have full unfinished basements, providing plenty of space for tdoay’s busy families. Harrison notes that despite its get-away-from-it-all appeal, the Milner Heights Langley real estate pre-sales development is still impressively well located to all aenities. The homes themselves at Milner Heights are being constructed with Built Green standards, and this, in addition to the variety of homes available at pre-construction Langley home pricing, further contributes to long term livability. “We have five different product types available, including single family Milner Heights homes with attached and detached garages, manor homes, pre-sale row homes and Langley townhomes,” explains Harrison. Families can move up or down in housing types depending on their lifestyle and stage in life. The demands of today’s homebuyers aren’t always easy to fill: typically, the list of must haves include such elements as a strong sense of community, access to nature, high quality construction that incorporates “green” policies, and easy access to amenities. This is why Vesta Proeprties is particularly proud of its new Langley Milner Heights community. Green Streets in Milner Heights Langley real estate properties minimize the use of pavements, curbs, and gutters that direct water flow straight into rivers and streams. Rather, these Green Streets at milner Heights incorporate natural methods such as swales (a landscape feature that captures and slows runoff) that absorb and direct water flor more naturally. “this feature alone makes Milner Heights Langley, quite different from other offerings in the area,” says Harrison, noting that only elements such as walking paths, a naturally landscaped poind and a neighbourhood greenway network further enhance the new Langley pre-construction real estate’s environmental appeal. Introducing the two new communities at Milner Heights Langley real estate development that includes the manor homes and pre-construction rowhomes at the Prelude Milner Heights area that start from the low three hundred thousand dollar range. Also, Langley’s most popular new residential community introduces the single family detached homes at Seasons Milner Heights real estate that start from just under five hundred thousand dollars. Access off 208th Stre at 70th Ave in Langley and you will be at the pre-sales Milner Heights Presentation Centre located at 20843 – 69B Ave in Langley BC. With distinctive pre-construction Langley single family homes at Seasons at Milner Heights in addition to stylish pre-sales Prelude Milner Heights row homes and manor homes, purchasers have a lot to choose from, depending on your lifestyle and future. A community of choice and Langley’s first “green street” development, Milner Heights is now selling, so visit them between one and five pm daily (except they are closed on Thurs and Fri) or you can visit www.milnerheights.ca for all the details online. Seasons at Milner Heights Now Offered! The Vesta Properties real estate development at Langley Milner Heights is now launching Phase 1 called the Seasons single family homes with attached or detached garages. The variety of homes, high quality construction, excellent location and many desirable features have scored a positive note among Langley real estate homebuyers, who also value the Milner Heights Langley community’s environmental emphasis according to the WestCoast Home buyers magazine. First to hit the Langley presales real estate market is the first phase in Prelude and Seasons at Milner Heights. Prelude at Milner Heights will feature manor and pre-construction row homes, inspired by early English manor Colonial architectural traditions. These will be perfect for growing families looking for detached single family homes in Langley real estate market. These freehold rowhomes and strata owned manor houses at the Milner Heights Prelude offering (there are four presale homes in each manor house at Milner Heights masterplanned community) boast sophisticated exteriors with wood and brick trim, and large windows. The luxurious interiors fo the Prelude rowhomes and manor homes at Milner Heights in Langley property market will have overheight nine foot ceilings in the main areas and well appointed kitchens and bathrooms as expected from Vesta Properties real estate developers. The other release of phase one homes at the Milner Heights Langley community will include the single family homes at Seasons with old worl touches, handsome entry ways and landscaped front yards. The Seasons at Milner Heights homes will have aggregate driveways, bright and spacious floor plans that range from 1500 to 2500 square feet of interior space as well as fully unfinished basements so that you can design your own workspace, rec room or movie room. Although the Milner Heights community is a quiet family oriented neighbourhood, residents and home buyers at the Prelude rowhomes and manor houses as well as the Seasons single family homes pre-sales will be very close to all access points to highways and greater Vancouver destinations in addition to local amenities and conveniences. Some of the most impressive features at the Langley new masterplanned pre-construction Milner Heights homes and townhomes include that they are Built Green, meaning that they are very environmentally sensitive and contributes to the long term livability. The Vesta Properties GREEN STREET minimizes the environmental impact of the buildings on the natural environment and leads to healthier living for families. The Milner Heights presentation centre is now open, and you can view the Green Street, display homes and the community today by visiting them at 20843 69 B Ave in Langley BC. You can also visit www.milnerheights.ca or phone 604.539.9484 for additional details regarding Phase 1 Prelude and Seasons at Milner Heights master planned pre-construction community. Seasons at Milner Heights master planned Langley real estate is the first Green Street development featuring single family distinctive homes with detached garages in addition to pre-construction Langley single family homes with attached garages. In addition, the floor plan layouts provide from 1,500 to 2,500 square feet of interior living spaces at the presale Seasons Homes at Milner Heights Langley. The homes start from $509,000 and $629,000 respectively at the pre-construction Langley Seasons Homes at Milner Heights development. A welcoming community at the presentation centre, the Milner Heights Seasons homes are brought to you by Vesta Properties. A sanctuary of comfort and style at the Seasons at Milner Heights. Two distinctive offerings at this Langley masterplanned community allows room for your dreams to grow. With pre-construction stylish rowhomes and elegant manor homes at Prelude at Milner Heights community, any first time home buyer, investor or retired couple will be able to find a suitable home here. With prices of the Prelude Milner Heights Manor Homes Langley are priced from $329,000 and the rowhomes are priced from $399,000. With unfinished basements and presale Langley homes between fourteen hundred and seventy five to seventeen hundred square feet in size. A one of a kind Langley community at Milner Heights provides the first green street real estate development in this beautiful city. By Vesta Properties, Milner Heights manor homes and rowhomes are now available for pre-purchase. Seasons Homes and Prelude Townhomes at Milner Heights Grand Opening! Vesta Properties is pleased to invite you to our opening of 4 exciting fully furnished pre-construction Seasons and Prelude Showhomes in the master-planned community of Milner Heights in Langley real estate market. From our presales Seasons at Milner Heights community collection of distinctive preconstruction Langley Single-Family Homes you’ll see the Madison and the Coventry home models. And, from our pre-sales Milner Heights Prelude neighbourhood of single family attached new Langley homes we have 2 additional show homes for viewing! This beautiful neighbourhood in Langley real estate market is taking shape, with it’s Georgian colonial-inspired architecture, attractive streetscapes and abundant selection of home types. In addition, Vesta Properties is proud to present the presale Seasons Langley Green Homes and Prelude attached Green townhomes Milner Heights as being Langley’s first “Green Street” real estate development. All the pre-construction Milner Heights Seasons and Prelude homes are built under the “Built Green” program. We look forward to seeing you at our Milner Heights Presentation Centre at 20843 – 69B Avenue. Visit us online at www.milnerheights.ca. Milner Heights Sales Team, 604-539-9484. The sun shone brightly. A gentle breeze rustled through majestic, old growth evergreens that surround Milner Heights Langley’s master planned single family home and duplex townhome community. On September, mayor Kurt Alberts cut the ribbon to official inaugurate this 45 acre new Langley real estate development at Milner Heights. With more than 400 families expected to call the pre-construction Milner Heights residential community home within the next few years, this neighbourhod will include walking trails, children’s playgrounds, greenspaces and protected parkland. The initial phase at the Milner Heights Langley property development will include 100 pre-construction rowhomes and Milner Heights manor homes for sale as well as 40 presale single family detached Langley houses. The Prelude at Milner Heights is the row homes and manor house development while the Seasons at Milner Heights represents the luxury Langley single family homes neighbourhood within this master plan. The presentation centre is now open so visit them to see the two fully furnished display homes or you can visit www.milnerheights.ca for all the details about these two phase launches. The true Green Street approach to the design of this Langley master planned community at Milner Heights is definitely on the leading edge of environmentally sensitive development in the Lower Mainland. The first of its kind Green Street at Milner Heights will provides a mix of simple rowhomes for sale or single strata four-plex manor houses for sale in the Langley real estate market. Then you have the larger townhomes and single family homes, providing a great mix of housing types that are essential in creating a sustainable community. For example, people can upsize or downsize within the same Milner Heights community where they have lived or grew up in without having to move somewhere else because the Langley real estate market at Milner Heights doesn’t have the size or type of housing they seek. The Green Street features at the Milner Heights Langley towhome development features exterior architecture with impressive gables, shuttered windows, rooflines that are elegantly perched and eco swales frame the roadways that allow rainwater to be re-used for irrigation. Rich warm woods, brick façade, Old World elegance are the features described for the community at Milner Heights and these new pre-construction Langley row homes definitely feel very large at 1660 square feet with full sized features and space including a powder room, large formal living/dining room, great room and chef inspired kitchen. Milner Heights Limited Offer NET GST Included! 2-bedrooms, 2 baths, plus full unfinished basement and range in size from 1475 to over 1700 sq. ft. - starting from $329,000 at the Milner Heights Langley master planned real estate community. PLUS for a limited time, NET GST is included for the pre-construction Milner Heights Manor Homes and select new Langley Rowhomes. In addition, from our Seasons collection at Milner Heights, we are featuring a select number of our pre-construction Langley Single-Family Homes with Detached Garages starting from $499,000. Contact our sales staff for more details! This is a limited offer, so call us for more information and don’t miss out on this exciting opportunity! You can still decorate your new home for Christmas at Seasons at Milner Heights! Executive home, Exclusive lot, Exceptional price! At Milner Heights Langley real estate masterplanned townhome and duplex home development we offer executive homes featuring private lots, some backing onto Environmental Reserve. Imagine no backyard neighbours, just the serenity of nature. EXCLUSIVE LIMITED OFFER! The "Brighton" on Lot 4. This Langley Milner Heights new house is fully loaded! 2341 sq. ft. plus basement, 3 bedrooms, 4 bathrooms, large loft, Front attached 2 car garage, Quiet private street with fully landscaped private backyard on Milner Heights greenspace, Hardwood flooring, tile in all bathrooms, metal railings, granite kitchen, deluxe moulding package, gourmet stainless steel appliances and much more! PLUS, Purchase the Brighton at the Milner Heights Langley townhome or duplex home for sale before the end of 2008 and we will include 2" faux wood blinds, a built-in vacuum system, security system, and front load washer and dryer. SPECIAL PRICE - $669,000. Call me to view this beautiful new Langley pre-sale home and to discuss how you can save money when you purchase the Brighton this year and save even more money if you move in before the end of the year. Looking forward to seeing you soon! Happy New Year from Milner Heights Langley Property for Sale! Thank you for registering at our Langley pre-construction homes sales centre on your visit through our showhomes. As a valued Vesta real estate developer registrant, you are the first to hear about our exciting updates for the single family home at the Brighton at Milner Heights in the pre-sale Langley real estate market. With new pricing, this distinctive single family home for sale with detached garage at the luxury Milner Heights pre-sale Langley homes, you will get three bedrooms, two and a half bathrooms and these pre-construction houses range in size between fifteen and seventeen hundred square feet. In addition, these presale langley Milner Heights homes have fully unfinished basements that can be converted at any time. Now starting at $479,900 plus GST, the featured home at the master planned Langley Milner Heights executive single family home called the Brighton is now available for sale. Beautiful presale Langley Milner Heights home backing onto environmental reserve. Imagine no rear yard neighbors & large private yard. This 2341 sq ft pre-construction langley home features amazing upgrades including hardwood flooring, granite kitchen, metal railings and much more! This Milner Heights Langley home is move-in ready at move-in pricing! Special Pricing $669,000 INCLUDING GST! Come visit this weekend for all the details and let us make your search for a new home easier! PLUS Don't forget to check out our quick possessions page online. We look forward to seeing you this weekend! Affordable luxury condos are now here int his 73 suite real estate development in Langley’s Paddington Station. Suites start from just $199,950 and prices are from $149,900 for a one bedroom and over 150 condo pre-sales homes are under $220,000! Some of the luxury features at Paddington Station condos in Langley pre-sales include: granite counters in kitchen and bath, undermount kitchen sink, Kohler faucets, beautiful tiling in floors and stainless steel fridge with ice and water dispensor. Other features of there luxury affordable Langley condo homes in Paddington Station development include stainless steel dishwasher, range and micro, genuine wood shaker style cabinets, front load washer and dryer as well as fireplace with luxury wood mantle. Affordable and easy to buy, the pre-construction Langley Paddington Station condominium sales process includes a $500 refundable down payment with 10 days to review and if it is a go, then another $4500 to secure your condo suite and then $2500 to $8800 (depending on your condo size) for full 5% down on your mortgage, payable by October 1st, 2008. The Show Suite for Paddington Station condos is now open in downtown Langley at 20168 Fraser Highway and is open 10:00am to 5:00pm. This is a Quadra Homes real estate Langley development. Visit www.BeautifulCondos.ca or call 604.419.3667 to book an appointment. Have you seen our unique Milner Heights "Manor Homes" yet? All housing types are offered at the Willoughby Willowbrook Langley real estate development at Milner Heights property at 20832 – 69B Ave – access off 208th Street and 70th Avenue). The newest master planned community by Vesta Properties, housing options at the Milner Heights Langley community will include row homes, townhomes, four plex manor homes, and single family detached houses so whatever your lifestyle, there’s a home to fit. Walking trails, a children’s play area, and even a critter corridor along the eastern edge where you can get up close to some of the local fauna are all part of what gives this Langley Milner Heights community its unique character. The property perks of this pre construction Langley Milner Heights homes is sustainably designed as a Green Street community, you’re still only a short drive to the big box shopping mecca of Willoughby and Willowbrook and the boutiques of downtown Langley. Schools and parks are also nearby. As published in the West Coast Homes and Design magazine: Quadra Homes’ new real estate downtown Langley project will be particularly appealing for a reasonably priced new home. Quadra Home’s passion is to build affordable, high-quality pre-sales condominiums in great neighbourhoods – and this is precisely what this well regarded property developer has achieved at Langley’s Paddington Station. The homes in pre-construction Paddington Station Langley – named after London’s famous train station – are inspired by the architecture of that capital city’s townhouses, a style that translates comfortably to downtown Langley. Designed by Points West Architecture, of Abbotsford, these elegant, brick-clad condominiums are filled with luxury features yet are amazingly affordable – which will make them particularly attractive to first time home buyers. Paddington Station pre-sales condos are located at Fraser Hwy and 201 A Street in Langley, across the street from PriceSmart Foods and Starbukcs and a walk away from Langley’s downtown resturants and shopping. Buses along Fraser Highway provide transportation, and, with an eye to the future, the real estate Langley development is within walking distance of the proposed rapid transit core. Quadra Homes is the luxury condominium division of the John Redekop Group, which has been building quality residential and commercial development projects in B.C. for more than 40 years. Quadra Homes currently has 4,000 condo suites under development including this new Langley condo project at Paddington Station condominium residences. Completion date for Paddigton Station condos is September of 2009. The presentation centre is now open. One hundred and fifty of the 220 pre-sales condo Langley suites at Paddington Station sell for less than $220,000 and the top price is only $274,900. They range from a junior one bedroom at $149,900 up to a two bedroom and den with 1,092 square feet. All Paddington Station Langley suites have decks, and ninety per cent have storage room. The most popular suite is the Style B floor plan, which also has a flex room – a luxury feature in any sized suite, but particularly in this 735 square foot plan. Home buyers at Langley’s Paddington Station condo homes will find they won’t need to ask for upgrades in their condominiums – all the features they are likely to desire are already included with the sales price. The condominium presales at Paddington Station condos in Langley, for example, have undermount sinks, wood shaker cabinets, granite countertops and ceramic tile in kitchens and bathrooms. There is a stainless steel appliance set, acoustic underlays for sound proofing, Kohler faucets, bevelled-edge wood laminate flooring in hallways and dining area, front loading washer and dryer, and more. Air conditioning at this new Langley condos at Paddington Station condominiums in the master bedrooms is by Carrier. An equipped exercise room, meeting rooms and underground parking with extra spaces are available, and Rain Screen technology is used in buiding the development. Along with its affordable pricing for new Langley condos at Paddington Station residences, the financing package is sure to be attractive to first time homebuyers. Quadra is offering a three step formula to buy a pre-construction condominium here as explained above. Milner Heights Langley Rowhomes and Manor Homes are a Hot Deal! New Langley Homes for sale - Milner Heights master planned community of Rowhomes & Manor Homes are a Hot Deal! The Rowhomes at Milner Heights Langley real estate development have been selling quickly! We have sold over 10 row homes in the last month and a half and we are excited to release 2 new row home buildings this weekend! HOT selling features here at the new Langley homes for sale include: PRICE - Best Value for square footage; QUALITY - The Vesta Difference; LOCATION - Close to everything you want and need; LOW DENSITY NEIGHBOURHOOD - Low percentage of units per acre, plenty of open space, trails & environmental reserve PLUS Tuesday March 24, 2009, If you or someone you know is in the market for a new Langley home for sale, come visit us at the Greater Vancouver Home Buyers Association's sponsored event 'First Time Buyers Seminar' at the Sheraton in Guildford located at 15269 104 Avenue, Surrey between 6pm. There will be speakers from the Canada Mortgage & Housing Corporation, Homeowner Protection Office, Genworth Financial Canada, and many more! Vesta is also part of the event, visit us at our Langley Milner Heights Rowhomes and Manor Homes for sale exhibit. Come find out what all the fuss is about and why Milner Heights Langley real estate development has been selling. Keep your eye on the Quadra Homes real estate developer web site because Langley Madison Crossing pre-sales is getting ready to begin priority registration. These 62 one and two bedroom condo homes in Langley’s Madison Crossing preconstruction property will be a continuation of the popular Madison Series in downtown Langely. Be sure to put your name on the list as easrly as previous phases of Madison Crossing presales sold out in no time. To priority register, please visit www.quadrahomes.com. Livei n the now is the theme at Trend in North Delta BC. Offering a wide seletion of condo homes in pre-sales phase, Trends represnts the first new condominium developmet in this area of North Delta for many eyars. Located at 7445 Scott Road, Your north Delta Trend condo pre-sales home is walking distance to an outstanding selection of restaurants, cool shopping, entertainment and venues. For additional Trend condo info, call 604.590.5483 or visit www.trendliving.ca. The North Delta real estate marketing team has already started advertising for this fabulous condo offering, and pre-sales at preconstruction Delta condo pricing will begin shortly. Please stay tuned for more details as they are released. *The fine print for TREND pre-construction Delta condos. All good news. Acting Quickly Pays. Take advantage of our “Limited First-Release” launch of these presale Delta condos at TREND in Scottsdale neighbourhood before our Fall 2008 launch Event. *Trend Condo VIP financing packages are available for specific presale homes only on a first come first serve basis upon unconditional agreements of purchase and sale. Beneficial interest rate caps with our partner bank provide guaranteed financing at preferred rates for all “Limited First-Release” new Delta homes. Payments include Principle, Interest, CMHC fees, net GST (3.22%). Incentives may not apply to new Delta condo purchaser at TREND Condominiums selected lenders and may be withdrawn without notice. Term of mortgage is 5 years with a mortgage subsidy until approximately March 2011. 35 year amortization. Promotion for the Trend Delta condo presales is limited, so act quickly and save! Promotional financing incentives and financing structure is only applicable to owner/occupiers, O.A.C. and insurance underwritten. Financial examples are projected estimates for specific DELTA TREND pre-construction homes. Starting prices are exclusive of net GST for this delta real estate development. Interest rates used are effective 16/07/08 and are subject to change without notice. Maximum savings for the TREND condos of up to $15,000 is applicable only to buyers qualifying for conventional financing. Ask for details regarding our “Save Your Money” maximum savings program. This is currently not an offering for sale. E. & O. E. Don’t miss out! SAVE YOUR MONEY FOR TREND CONDOS in Delta real estate market! TREND condominium pre-construction Delta apartments is preparing to release only 20 pre-sale homes this August as a prelude to our major Fall 2008 Launch Event. You can save up to $15,000* with remarkably low payments and fantastic value pricing. Check us out. Be early. Be among the first to experience a great new lifestyle! Become a new Delta condo TREND VIP with optimum buyer privledges. HERE IS A SNEAK PEEK AT TREND. Being a TREND VIP has its priviledges. You get to see what TREND Delta condo apartments is all about before the public...here...now! Just click on the floor plans to find out more. TREND Site Plan. http://www.fifthav.com/emailimage/kore/trend/site%20plan.pdf. TREND Features. http://www.fifthav.com/emailimage/kore/trend/trendfeatures.pdf. 65% OF HOMES UNDER THE $230'S. That's not all! You also have the opportunity to save up tp $15,000! * Click here and see a mail piece with all the details before the general public receives it next week. BECOME A TREND VIP. As a new Delta condo TREND registrant, become an Early Preview VIP and save. Call Greg King at 604-644-9700 to be among the first to experience our quality lifestyle, superior location, and exceptional value at the new Delta condominium real estate development. Only 20 (of 51) stylish pre-constructin Delta condos will be released. DISCOVER DELTA'S VIBRANT SCOTTSDALE LOCALE. TREND, is Delta’s newest collection of exciting one bedroom, one bedroom and den and two bedroom pre-sales condos. Lavish the downtown upscale specs designed by Giraffe Interior Design Group. Granite. Stainless steel. Laminate hardwood. Fireplaces. All with upscale designer specs. TREND is quality built by Noble Contracting Inc., a reputable builder providing good value to all homeowners and backed by National’s 2-5-10 Home Warranty Program. Vibrant, innovative and positioned close to an amazing array of restaurants and cool shopping. TREND Delta condo homes is destined to become a Delta address of distinction. Fifth Avenue Real Estate Marketing Ltd. would like to invite you to our exclusive pre-construction TREND Condo Opening Event this weekend starting from 12 pm! HERE'S WHAT YOU HAVE DO... 1. Select your new Delta condo home from one of the following; 2. Call our TREND Hotline at 604-307-4232 to book your appointment time; 3. Bring your cheque on Saturday August 9th, 2008. And that's all you have to do! Hip, cool, and with a character all its own, the Trend is about the make its debut in North Delta real estate market. And if you’re one of the people who’s been dreaming of a new Delta condominium home here, this is the opportunity you’ve been waiting fro – the first new pre-construction condominiums built in North Delta property market in over a decade and a half! A vibrant community awaits you at the Delta presales Trend condos. Here you’ll find all the bix box retailers that you are so fond of including boutiques and galleries, a diversity of ethnic dining options, recreational facilities and outdoor activities like biking, jogging, hiking and so much more. You can even attend a multitude of different schools and universities, all within a short drive from the new North Delta condos at the Trend Condominium presales. Trend is North Delta’s first condo developent in almost twenty years and offers a wide selection of pre-construction one to two bedroom homes. The starting price point for these New North Delta condos are from $180s. The presentation centre and location of the Delta Trend residences is at 7445 Scott Road. If you are interested in attending the North Delta condominium launch, please make sure you visit New Orleans Centre at 7937 Scott Road or visit www.trendliving.ca or call 604.590.LIVE to get into the priority VIP interest list. The TREND condos boast a west coast style architecture with impressive interior spaces. Open concept floor plans is ht ename of the game here at the North Delta real estate condo offerings and if you can think of crisp and contemporary interior design, this is what you will get at these new presale Delta condominiuums. Also, the homes at Trend living are very spacious with the largest pre-construction delta condos around 1,007 square feet in size. Granite, stainless steel and other porcelain tile finishes are some of the features you will find in every Trend North Delta home. Naturally, ther’s also a soaker tub, hardwood laminate flooring throughout the main living areas, and plenty of windows. Truly urban Delta condos for sale are now being massively reduce din price at Trend – Live in the Now! With urban condos at Delta Trend condominiums priced from just the $180s, you can save up to $50,000 on a purchase of a new condo home! Designed to become a Delta real estate address of distinction, an incomparable location with innovative architecture, downtown upscale specs and sophisticated character, here is the massive price reduction on the pre-sale Delta Trend condos for sale. Granite, stainless steel, laminate hardwood, fireplaces, 2 rollerblade minutes from the epi-centre, Scott and 72nd Street Delta real estate market with upscale restaurants and retailers are everywhere. Get in on the action at the massively reduced Delta condos at Trend urban living. It was great to have the opportunity to show you some of the many unique features that make Trend North Delta’s newest pre-sales condo real estate development such a desirable place to live. 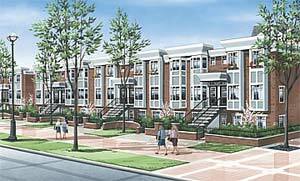 Innovative Architecture with Downtown Upscale Specs and Sophisticated Character. The pre-construction Delta Trend condominiums define contemporary living. The timeless architecture, created by award winning Barnett Dembek Architects, showcases enduring materials such as brick and hardie plank with expansive windows alongside elegant details such as rich wood trim, cool metal accents and lush landscaping. The presale Trend Delta condo residences exudes a cool, urban vibe. It’s the place to see and be seen. Trend pre-construction condos in the North Delta real estate market merges cosmopolitan styling and modern conveniences in the dynamic location of Delta. It’s the ultimate condo home base from which you can live, play and entertain. Surroudned by an eclectic mix of restaurants, shops and cafes, this funky collection of 51 contemporary one bedroom, one bed plus den and two bed urban pre-construction Delta condos, offesr an unlimited opportunity for a chic and vibrant lifestyle. Own at Delta Trend condos from $659/month (special promotion, speak to sales staff) or from the $190s! For a limited time, you can own a pre-sale Delta home at Trend condominiums for as little as $11,192 down and low payments from $659 per month through March 2011! Come back and see how! Visit us at 7937 Scott Road in Delta real estate, we are open daily between 12 and 5pm (closed Fridays) or call us with those important questions at 604.590.5483. Sincerely, Fifth Avenue Real Estate Marketing Ltd. Greg King, Sales Manager. Delta’s only new condo real estate development with a limited release of luxury apartment suites right now. Designer living that are easy to own and affordable. Trend is designed to become Delta real estate’s address of distinction offering affordable presale condos with all the downtown upscale finishes that include stainless steel, granite, laminate hardwood and fireplaces. In addition, the pre-construction Delta Trend Condos aalso feature a great location at Scott Road and 72nd where you will find the best of new restaurants and boutique shopping that you want to see. Be the first to experience the First Release Pricing, which is conveniently a pre-construction pricing for your new Delta Trend condo home. With only 20 of the 51 stylish pre-sales condos that are being released this fall, you can get your hold of these before the general public by registering today online at trendliving.ca or by calling 604.590.5483. With 65% value priced under $230’s, the pre-construction Trend Delta Condos also offer one bedroom affordable condos from $190’s and save up to $15000 right now. HOME OWNERSHIP HAS NEVER BEEN MORE AFFORDABLE... NOW IS THE TIME TO BUY! As a past visitor of TREND Delta condos for sale we invite you to be amongst the first to take advantage of this rare opportunity before being released to the general public. The Delta Trend real estate condo Developer has taken the lead in the North Delta Condo market by offering exceptional pricing on only 6 select homes! HERE'S A SAMPLING OF SAVINGS OF UP TO 25%. 1BED/1 BATH at 647sqft from $225,900 to $174,900 or a savings of $51,000. Or you can choose 1 BED/1 BATH suite of 660 sq ft at the Trend Delta condos for sale at $225,900 to $176,900 or condominium price reduction of $49,000. Also, there is a 569sq ft 1 and 1 available at the pre-construction Delta Trend condos for sale that are featured at only $179,900. YES! IT'S INCLUDED at Trend! Here are some standard features included with every home purchase here at the new Delta Trend condos for sale: Granite Kitchen Counters • Stainless Steel Appliances • Laminate Hardwood Flooring • Electric Fireplace • Stacking Washer/Dryer • And Much More. TREND HOMEOWNERS ARE TALKING. “The designer finishes inside these Delta Trend condo homes are the best I have seen outside of Yaletown”. “The sales team at Trend Delta condos for sale made it really easy to show me how to afford a great condo on my own”. “Now my daughter can walk to Starbuck’s late at night and feel safe doing so in this great neighborhood”. “I can live and work close to family and friends without breaking the bank!”. CANADA FEDERAL BUDGET 2009 HAS MADE IT EVEN EASIER for you to own a new Delta condo home at Trend condominium residences. You can now use up to $25,000 from your RRSP contributions to use as a down payment on your new home at TREND Delta condos. Plus get up to a $750 tax credit towards closing costs if you are a first-time buyer! NOW IS THE TIME TO BUY AT TREND. Call Greg King at 604-644-9700 for an exclusive VIP appointment at this new Delta real estate development and be amongst the first to take advantage of this rare opportunity before being released to the general public! When Your Bedroom Becomes Your Boardroom – Langley Village to the Rescue! Get a second bedroom for the price of one! It’s the perfect home office. You need it. Especially when your bedroom starts to look like Staples instead of the love nest you intended. It’s time to get out of that rut and get organized!! You can afford the space you need. Own a two bedroom suite at Langley Village apartment residences with only $9,000 down – homes start at $177,900, no GST. At this price, you’ll have enough money to spare on things that really matter, like satin sheets. Freshly renovated and move in to the presales Langley Village condos today! Creative Renewal at Langley Village condominiums according to Susan B for the new home buyer guide of Greater Vancouver. Watch out Langley real estate! A stylish renewal, a creative rebirth is happening right in front of your eyes. The name is Langley Village and the look is sizzling. Oringally built by the Porte Group of companies as part of their Langley real estate investment portfolio, this collection of 76 newly renovated Langley Village suites is undergoing a top to toe makeover – to the delight of savvy new home buyers looking for something different and affordable. Seems plenty of people agree with these new changes that include appliances, fixtures, flooring, cabinetry, bathrooms, structure and much more. Eager Langley Village newly renovated condo home buyers snapped up almost half of these suites within weeks although Kellie, the sales and marketing manager for the new presales Langley Village condominium homes streeses there is still an excellent selection of psacious two bedroom homes remaining. There is also no GST payable upon closing at these new Langley Village condo apartments as they are renovated suites and not completed brand new. This is a huge savings for first time homebuyers in the Langley real estate market. Sophisticated Styling: Langley Village’s transformed interiors start with a contemporary, colour coordinated design from Georgie Award winning BYU Design. Next the design team added new carpets, baseboards, floor tiles, countertops, cabinetry, and energy efficient appliances. Relaxed setting: Outside, the landscaping has the charming sense of welcoming that comes with maturity. Trees are lush and green, flowerbeds already know how to look their best through out the changing seasons. Langley Village Condos are a relaxing place to be. But make no mistake, for sheer convenience, and city amenities, the residents at the newly renovated Langley Village condo residences are just a sthort stroll from downtown Langley and of course the Cascades Casino. Langley Village renovated suites offers a variety of fully refurbished two bedroom suites conveniently located just steps from downtown Langley real estate. Prices for these no GST condos in Langley start from just $177,900 right now and the two bedrooms homes are almost 1,000 square feet in inside space. The sales centre and display home for the new Langley Village real estate development is open noon to 5:00 pm daily except Fridays at 5664 – 200th St in downtown Langley. You can also visit www.langleyvillage.ca. for all the details. Linwood Homes Open House And Fall Sale! Located in the new Delta real estate market, the new Linwood Homes for sale have the best discounted price fro 2009 now in effect! Receive your FREE 40th Anniversary Plan Book right now. If you are looking to purchase a new home, the Linwood Custom Homes in the Delta real estate market are definitely at the top of any home buyer’s list. See true craftsmanship and get practical design advice, you can now witness the biggest sale yet! View hundreds of contemporary and timber home floor plans at the Linwood Homes in Delta BC. Open Saturday, November 1st from 10am to 4pm and Sunday November 2nd from 10am to 4pm. Visit Linwood Homes at 8250 River Road in Delta with access from Highway 91 or Highway 99. 604.946.5421 or 1.800.663.2558 or visit linwoodhomes.com. Langley Village Condominiums for Sale right now! Creative renewal is what the article by Susan B. says about the new Langley Village renovated condos for sale. From the standpoint of a long term investment, there is nothing better in the Langley real estate market then these recently renovated Langley Village condominium apartments. From the lobby that is urban chic to the fact that you don’t have to pay GST (5%) on the purchase price as it is a renovated Langley condo conversion property, these are all perks that you won’t find in the Langley real estate market at this time. Spacious living and functional spaces are all great features here and with two thirds of the Langley Village condominiums sold already, there is very little time left to purchase your renovated suite today. The kitchens have updated cabinetry doors, countertops, flooring and hardware and with new carpeting and large patios for outdoor entertainment space, you just can’t go wrong with these recently renovated Langley Village condos for sale. Large storage rooms and a great location make the new Langley Village renovated suites a great investment choice. Coupled with low mortgage rates, affordable condo pricing and no GST, the renovated Langley condos here represent great value just steps from downtown Langley. Starting from just $177,900, the fully refurbished two bedroom suites at Langley Village condos are almost 1000 sq ft in size and this development has certainly made it much easier for first time home buyers to get into the market right now. Langley Village Countdown – Only 16 Homes Remain! Daffodils aren't the only thing coming to life: Spring is finally here and we have found that the Greater Vancouver and Langley real estate market is in full bloom as well. We've sold 4 homes at Langley Village condominiums in the last 2 weeks with activity increasing daily. Spring is the time to buy - don't be one of those people who wait forever for the "perfect" time to buy. Unfortunately, the "perfect" time to buy is seldom recognized until it's too late. You don't want to spend the rest of your life saying "if only I'd bought....." Langley Real Estate Affordabiity is the key...rates at historic lows. Never in my lifetime have I seen rates this low and you owe it to yourself to get in now. TD is offering our clients a truly fantastic rate. Call Marna now at 604-725-0284 to secure your blow out rate - 4.05% for a 5 year term or 3.10% for a variable rate! Langley Village offers the best of all worlds: low prices, no GST, great savings and most of all a great investment in your future. Only 16 great deals on Langley Village condos for sale are now available as of mid March 2009. It won't be long before our doors here a the pre-sale Langley Village condominium homes are closed. Sixty opportunites are already gone, but there is still time to grab one of these last great deals. In fact, we have an awesome deal this weeked for you to take advantage of - $10,000 off any of our Langley Village real estate development E plans. PLUS, we'll give you $5000 at completion to spend however you want. If you close by April 30th, we'll even pay your Langley Village condo maintenance for a year! Save $10,000 and more on the final 18 pre-sale Langley Village condo homes for sale today! Pick of the month: 2 bedroom suite here at the Langley condos for sale was $193,900 and is now $182,900 and if you buy this Langley Village condo suite, you will receive $5,000 cash back to spend any way you want! 15 Homes here at the pre-sale Langley Village real estate community have down payments from under $10,000 and monthly payments of $698 per month. All homes here at the Langley Village community have no GST and if you close by April 30th, the maintenance fees for your new Langley condo will be included for 1 year (over $1,250 in value). Porte development corp – located at 5700 200 St at 57a Ave in Langley BC. Open 12 to 5pm but closed Wednesday to Friday.